CERN is taking e-intruders very seriously. It takes a truly massive network of hundreds of thousands of computers to help scientists around the world unravel the mysteries of the Universe, which is the purpose of the CERN grid (CERN stands for Conseil Européen pour la Recherche Nucléaire, in English, the European Laboratory for Particle Physics). Naturally, however, particle physicists aren’t the only ones who want to access that kind of computing power. Hackers are also interested in CERN’s grid, and CERN scientists are skipping past standard cybersecurity measures and deploying artificial intelligence (AI) to stay protected. It is the job of any cybersecurity effort to detect unusual activity and identify possible threats. Of course, systems can look for known code worms and viruses, but malware changes too fast for humans to keep up with it. This is where AI and machine learning comes in. CERN scientists are teaching their AI system to distinguish between safe and threatening behavior on the network and take action when it detects a problem. CERN is home to the Large Hadron Collider (LHC) as well as its massive computer grid. Scientists use the LHC to study high-speed collisions between subatomic particles — in 2017 alone, they collected an estimated 50 petabytes of data about these particles. CERN provides this critically important data to universities and laboratories around the world for research. 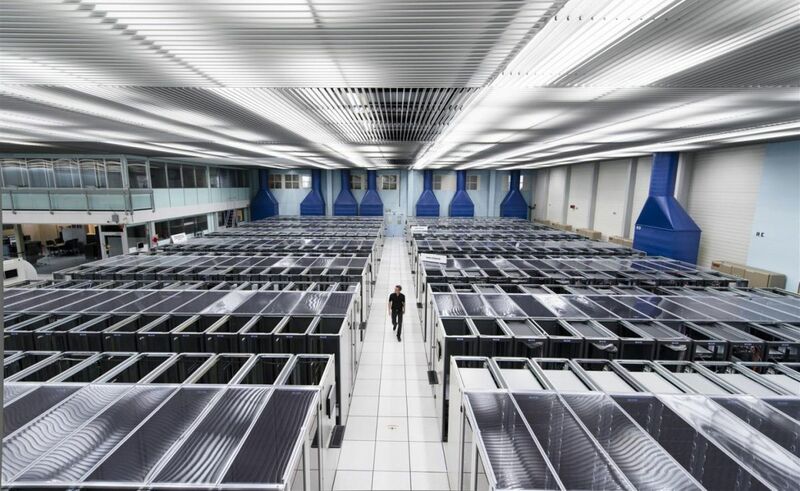 The LHC and CERN itself require a massive amount of data storage and computing power, which is what prompted the creation of the Worldwide LHC Computing Grid. The grid connects computers in more than 40 countries from more than 170 research facilities, and works like a power grid to some extent, providing computing resources to facilities based on demand. This presents a unique cybersecurity challenge: keeping the massive globally-distributed grid secure while maintaining the computing power and storage unimpeded. Machine learning can train a system to detect potential threats while retaining the flexibility that it needs to provide computing power and storage on demand. F-Secure senior security researcher Jarno Niemelä told Scientific American that the biggest challenge for the project will be developing algorithms that can accurately distinguish between normal and malicious network activity without causing false alarms. For now, the AI upgrades are still being tested. If they work well protecting just the part of the grid that ALICE (A Large Ion Collider Experiment) uses, the team can deploy AI cybersecurity measures throughout the system.